A Stan's Rim Strip makes a standard rim airtight so it will take a tubeless tyre. Stan's Rim Strip is like a regular hoop-shaped rubber rim tape that stretch-fits snuggly over the rim well. The Stan's No Tubes difference is that this rim strip is made in a more substantial polymer rubber, which make the rim airtight, and it incorporates its own integral moulded Presta valve. Stan's No Tubes Rim Strips are essential components of Stan's No Tubes Tubeless Kit. If you already own the sealant and rim tape, you can save money by just buying the rim strip on its own. Stan's No Tubes Rim Strip is sold as a single rim strip with its own integral 32mm-long presta valve stem. The valve has a removable core to facilitate filling the tyre with sealant. To ensure tubeless conversion, the rim might also require Stan's No Tubes Rim Tape to cover the spoke holes. You can fit a Stan's No Tubes Rim Strip to a UST tubeless-ready rim to make it even more airtight. 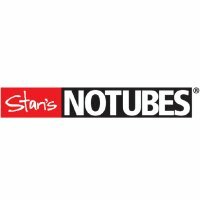 We stock Stan's No Tubes Rim Strip in three sizes. Sun Envy, EQ25 29", Inferno 23 29", Inferno 25 29"
Mountain Bike Hall of Fame inductee Stan Koziatek is recognised as the world expert in tubeless tyres. Stan Koziatek is such an advocate for riding tubeless, he created his own specialist company specializing in tubeless wheels, rims and all the kit required to make it easy to go tubeless: Stan's No Tubes.